Hooray! 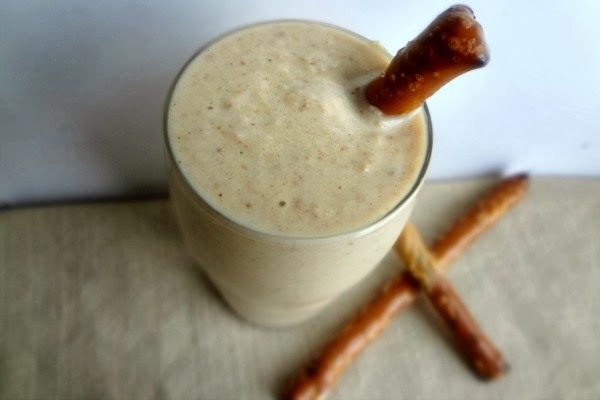 It is week 2 of the Knockout Peanut Butter Smoothie Sweepstakes. In case you're not up to speed: Peanut Butter & Co and Rocky on Broadway have teamed up with four food bloggers (including yours truly) to bring you 4 different smoothie recipes a week. 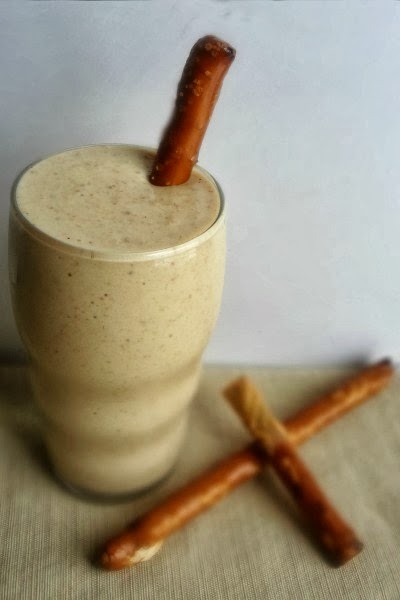 From April 14th-May 9th, with 4 week-long entry periods, you're invited to vote for your favorite peanut butter smoothie recipe at Facebook.com/peanutbutterco and www.KnockoutPeanutButterSmoothie.com for a chance to win two tickets to see Rocky on Broadway and a year’s supply of Peanut Butter & Co. peanut butter (50 jars). Winners will be randomly selected, totaling four winners by the end of the promotion period. There is no purchase necessary to enter the sweepstakes. Certain restrictions apply. Rocky on Broadway (which opened March 13, 2014 at the Winter Garden Theatre) brings the iconic story of Rocky Balboa (from the famous Rocky films) to the Broadway stage. I am totally loving it and if you want to read more about it you visit www.ROCKYBROADWAY.com and you can also refer to my post from last week. And, in case you didn't know about Peanut Butter & Co-in addition to being my favorite brand of peanut butter, Peanut Butter & Co. began in 1998 as a little sandwich shop here in NYC (which I've visited!) and is now one of the fastest growing natural/specialty food companies in the US. Their ten varieties of all natural, flavored peanut butters (made exclusively from USA-grown peanuts) are available in over 15,000 supermarkets and specialty retailers. And uhhhh yeah....tastiness. Anyways, this means 4 new delicious recipes from me (featuring one of Peanut Butter & Co.'s peanut butters)! Last week's smoothie was Dark Chocolate Peanut Butter Green Monster Smoothie. And this week? A super creative idea if I do say so myself!! Peanut Butter & Co.'s Bees Knees peanut butter, honey, and pretzels are the main flavor profiles at play here and it is so wonderfully subtly sweet and salty-and with such a thick, creamy texture-you are gonna LOVE IT! To view the recipe click here! Disclaimer: I was provided with product, tickets to a preview of Rocky on Broadway, and monetary compensation for my participation in this program. However, I was under no obligation to write a review and all opinions, as always, are my own.